If you don't follow me on IG, I posted this meal yesterday on there. I had some cream cheese I wanted to test out so I searched Pinterest for a good recipe. I landed on this casserole and went for it. I did alter it...a lot, so ill post the recipe that I did. The kids love to help in the kitchen so they did some small tasks during the process. It didn't look "pretty" when I took it out of the oven so I didn't have much hope [because you know how it looks is how it tastes...]. The entire family LOVED it! It isn't the healthiest meal in the world but it does have spinach and tomatoes in it! We will add this to the go-to meal list in our house. 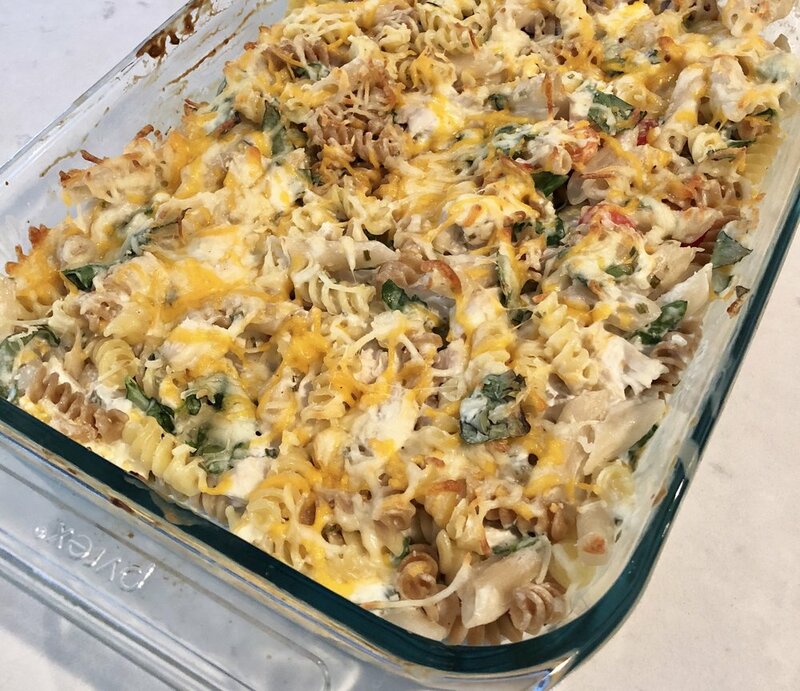 -Chop spinach and combine in a bowl with the pasta, cooked chicken, tomatoes, cream cheese, and 1/2 cup of mozzarella cheese. -Pour the mixture into your baking dish and sprinkle the remaining cheese on top.